All in all, 45 Issues were closed. Find the complete release notes in Jira. Download camunda BPM 7.1.0-alpha4 now! Give us Feedback in the forums and via Twitter: @camundaBPM. Let us know if you experience any problems when you upgrade camunda BPM this time. We finally added support for the non interrupting event Subprocess. Actually most of the code was already added with alpha3 but we had to do some additional testing and minor fixes for Multi Instance cases before we could release it officially. In the example above, if a new guest introduces himself, the main flow will not be interrupted. Executing such processes was not possible before. Find more information in the BPMN Reference and the BPMN Implementation Reference. 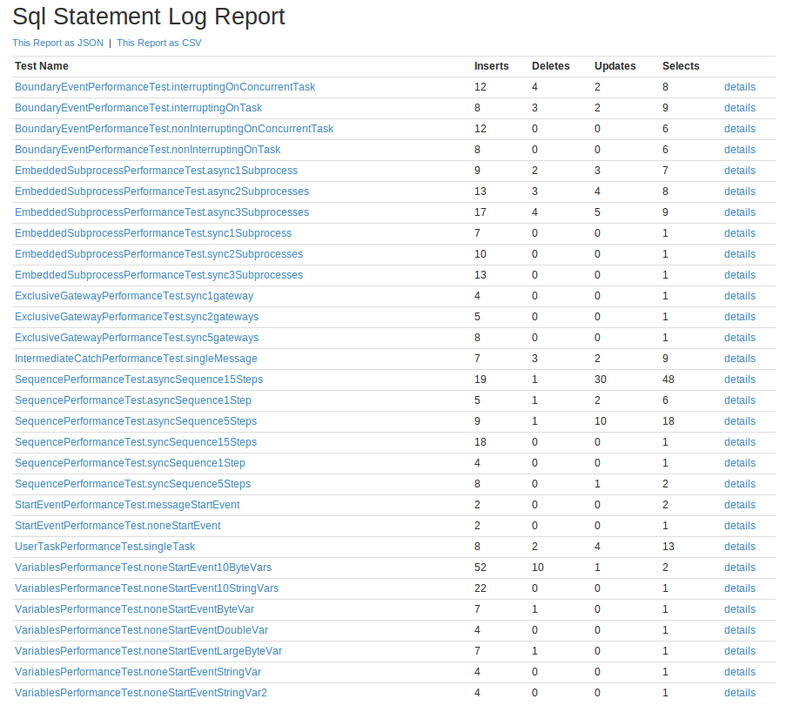 The testcase is part of our performance testsuite. 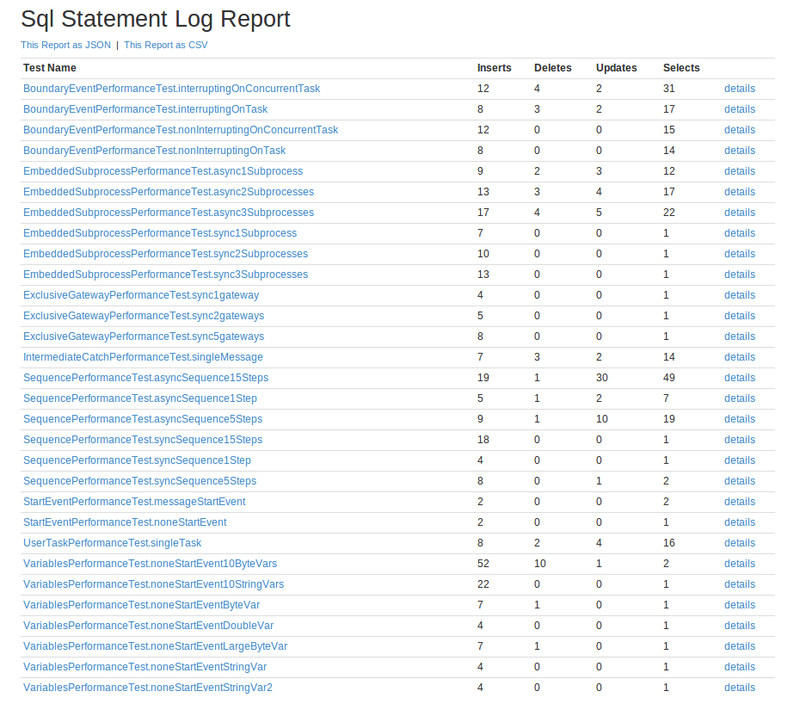 The results can be verified using the "Sql Statement Log". Performance Benchmarks show an improvement in performance of roughly 30% if the database runs on a different machine then the process engine. Execution tree pre-fetching will fetch all the executions inside the same process instance upon the first access of an execution from the hierarchy which is not equal to the initially fetched execution. The executions will be fetched as list and we then reconstruct the complete execution tree. In many cases this is an optimization over fetching the execution tree lazily. Usually we need all executions anyway and it is preferable to fetch more data in a single query (maybe even too much data) then to run multiple queries, each returning a fraction of the data. The most important consideration here is network roundtrip: If the process engine and database run on separate hosts, network roundtrip has to be added to each query. Economizing on the number of queries economizes on network roundtrip. The tradeoff here is network roundtrip vs. throughput: multiple roundtrips carrying small chucks of data vs. a single roundtrip carrying more data. What else is gioing on? Matrin Schimak has released camunda BPM assert 1.0!!!!!!!!! Join us at our community event here in Berlin on March 18th! The Beer (and Bionade) has already arrived and is well guarded by Nastasja, our community manager!